THE Southern Cricket Association's 2014/15 season is under way this weekend and it looks like being an interesting season. Some players have moved on and others have arrived and four of the seven Derwent Valley teams have changed to a different grade from last season. 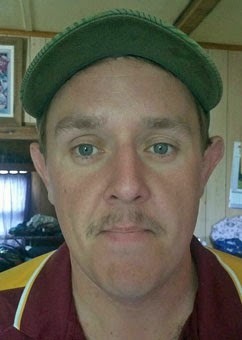 BUSHY PARK CRICKET CLUB has moved from Second Grade to Third and will again be captained by Troy Smith. They will be much more competitive this season with the inclusion of new player Shaun Grant and the return of Shaun Fenton who will join is former team mates in December. Bushy hasn't lost any players and rumour has it Jarrod Oates maybe having a hit with them. All in all, it looks a positive season ahead for Bushy Park. Home Ground: Bushy Park Showground. Secretaries: Megan Fenton & Rachel Goss. Last season: Last in Second Grade. Gains: Shaun Fenton, Shaun Grant. Club contact: Karen Fenton 6286 1288. GRETNA CRICKET CLUB will again be fielding two senior teams. Gretna I finished third in Second Grade last season will continue in the same grade while Fourth Grade premiers Gretna II have been elevated to Third Grade. 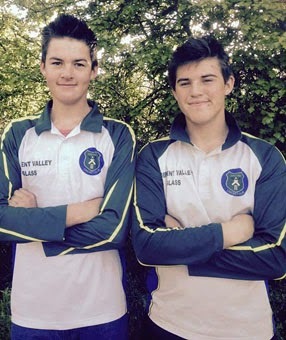 New players to senior level this season are twins Zac and Luke Crosswell who have come through the club's junior teams and are very promising cricketers, With this spread of youth into the senior ranks, the club looks to have a bright future. Home ground: Gretna War Memorial Recreation Ground. Public Relations Officer: Ben Shaw. Last season: Third place in 2nd Grade. Last season: Premiers in 4th Grade. Gains: Luke Crosswell & Zachery Crosswell (Gretna Juniors), Jason Cunningham. Losses: Peter Jelkic (injured), Cody Eyles (Bagdad). Training Times - Seniors: Wednesday 5pm. Juniors: U/13s Thursday 5pm. U/15s Friday 5pm. Junior Coaches: U/13s Glenn Blackwell and Darren Lennox. U/15s Bruce Emery and Ian Booth. In2CRICKET: Started October 17 at 4pm at Glenora District High School. Seven week program, $65 per child. Age 5 to 10 years. Contact: Annie McKenzie 6286 1301 or annie.mckenzie@education.tas.gov.au. 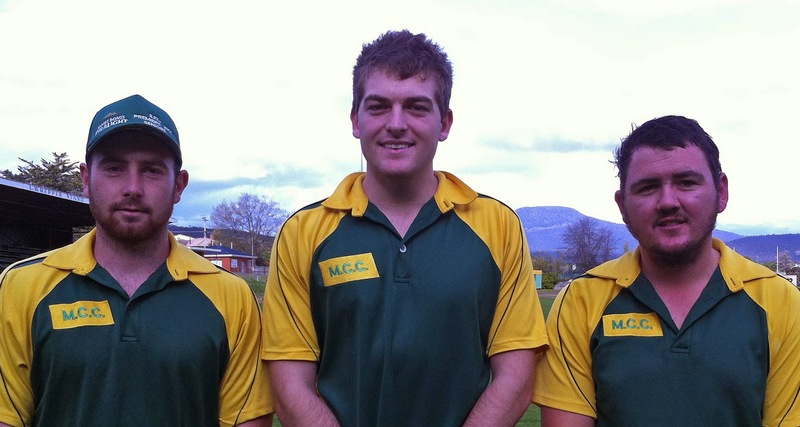 MOLESWORTH CRICKET CLUB has retained coach David Adams who led Molesworth I to runner-up last season in Second Grade, while son Jamie Adams will captain the team. On the arrivals side, Jake King has crossed the river from arch rival New Norfolk. King played in the Red Caps' premiership last season and will be a valuable addition to the Molesworth club. Molesworth II just missed out on the finals last season and will again play in Fifth Grade. Brayden Hodge did a great job with the young side last season and will again be captain. He will be joined by vice captain Jacksyn Mann from Glenorchy and Josh Ransley and Jack Evans from the club's Under 15s team. A big loss is all-rounder Mathew Smith who has moved on to the Wellington Club. Junior Development Officer: Nick Piusseli. Coaches - Seniors/Club: David Adams. U/13s TBA. U/15s Darryl Kenyon. Vice-captains: Nathan Eiszele & Brad Coppleman. Last season: Runners-up in 2nd grade. Last season: 6th in Fifth grade. Gains: Jake King (New Norfolk) Jacksyn Mann (Glenorchy), Jack Evans, Josh Ransley (Club Juniors). Training times - Seniors: Tuesday & Thursday 5pm. Juniors: Wednesday & Friday 4-6pm. NEW NORFOLK CRICKET CLUB has been through a time of change. David Maddox has been appointed coach and after winning the Second Grade premiership last season, the side has been elevated to First Grade and will again be captained by Rohan Heron. Its a big step, but with Stewart Rice still in the team anything is possible. 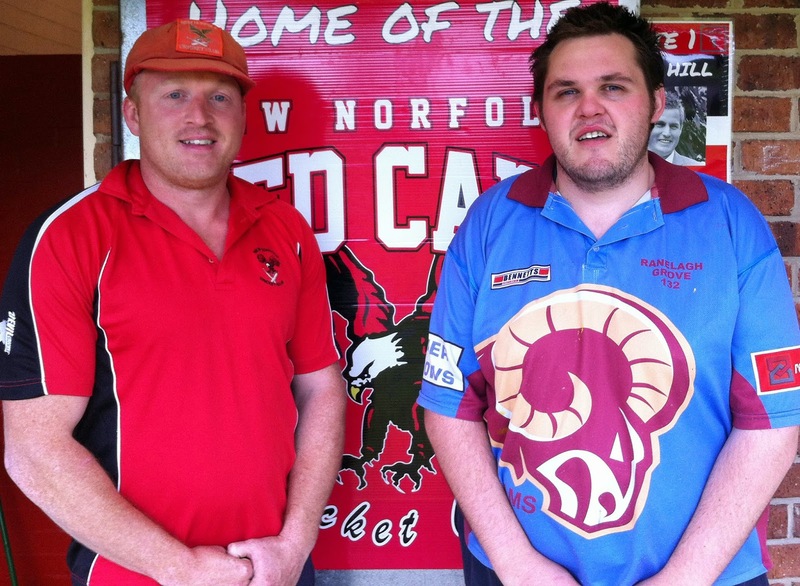 New Norfolk II has also moved up, slotting into Fourth Grade and again captained by Stephen Nichols. The club has a number of top new players. Kendall Bluett from Campania will be a handy pick up, while pair Aaron Drew and Trent Smith have arrived from St Aidens. Leigh Andrews from North Huon also looks to be a handy player. Junior Development Officer: Josh Walsh. Coaches - Seniors: David Maddox. Senior Assistant Coach: Leigh Berry. Development Coach: Kendall Bluett. Junior Coaches - U/13s Brad Kemmler. U/15s Graeme Rowlands. Last season: Premiers in 2nd grade. Last season: Fourth in 5th Grade. Gains: Kendall Bluett (Campania). Leigh Andrews (North Huon). Aaron Drew, Trent Smith (St Aidens). Jon Murray. Training times - Seniors: Thursday 5pm. Juniors: U/15s Tuesday 4:30pm. U/13s Monday 4pm. Milo in2Cricket: Registration day October 21 and starts October 30 at 4:30pm. Club contacts - Seniors: Jamie Hill 0409 305 385. Juniors: Josh Walsh 0417 426 269. In2CRICKET: Leigh Berry 0400 938 771.